This Primitive Nativity Scene almost looks real. It is Crafted totally from Barn Siding. We find the wood that has the most character to make something that is one of a kind. We do our best to find characters to match. 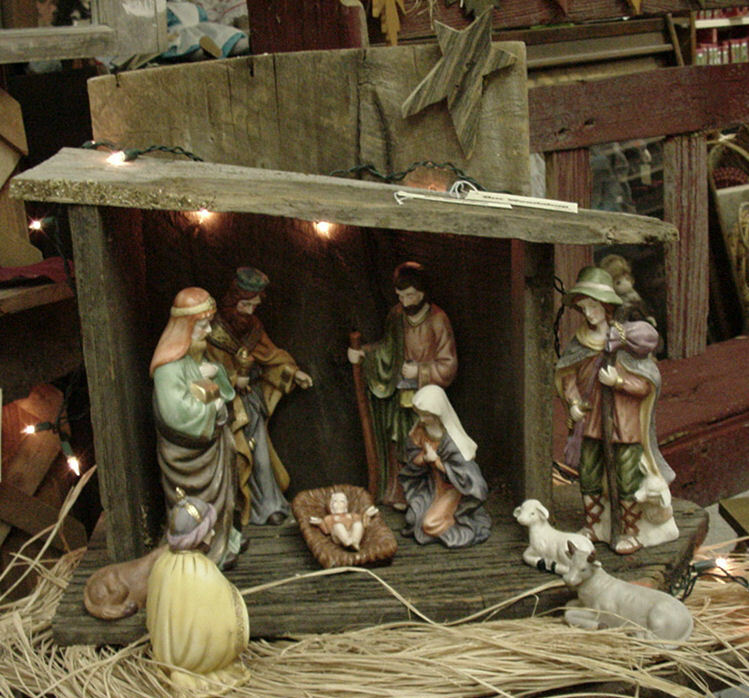 Every house should have some nativity scene to express the real reason for Christmas, The birth of Jesus Christ. Share the story of the birth of Jesus Christ with your Children.